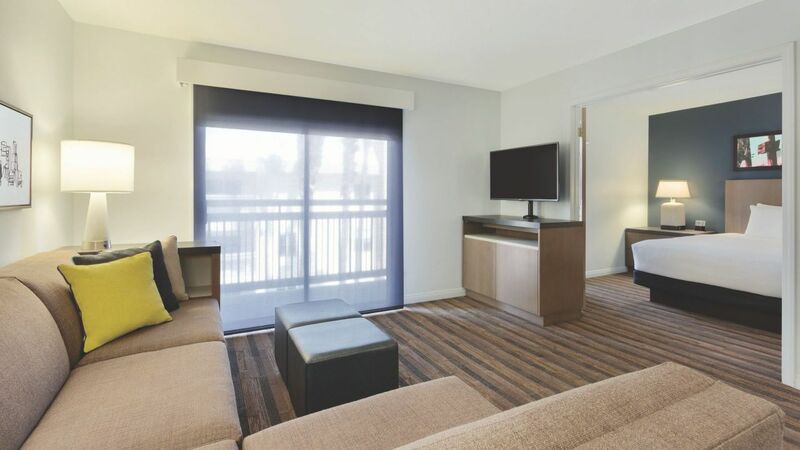 Each of our rooms is outfitted with homey touches like full kitchens and additional sleeper sofas. Opt for a suite, with a private patio or balcony offering city views. Modern conveniences, free with your stay include breakfast and Wi-Fi. 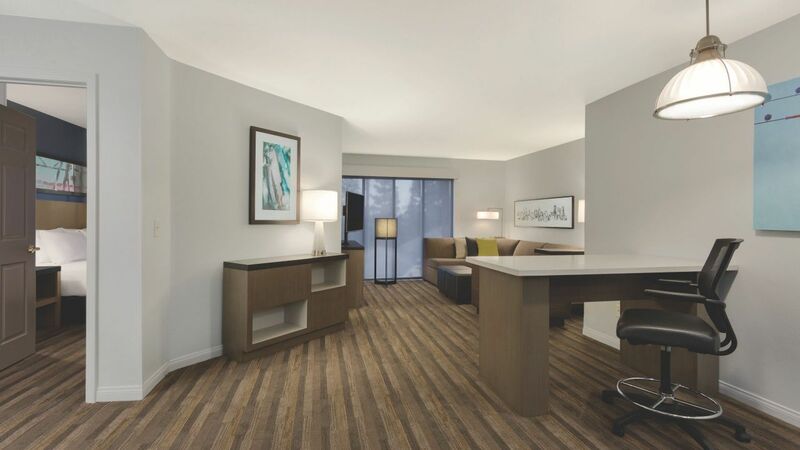 Our large 880 sq ft one bedroom king suite gives you plenty of privacy, plus ample space to work and relax. In addition to a separate bedroom with one king bed, separate bathroom, spacious closet and TV, we offer a living area with a sofa sleeper as well as a kitchen. All Hyatt House hotels are smoke-free. Our one-bedroom conference suite gives you plenty of privacy, plus ample space to work and relax. In addition to a separate bedroom with one king bed, separate bath, spacious closet and TV, we offer a living area with a conference table, as well as a fully-equipped kitchen. The suite also has a dedicated work space, including a full-size desk, dual-line phone, voicemail and complimentary high-speed Internet access. All Hyatt House hotels are smoke-free. Our one-bedroom suite gives you plenty of privacy, plus ample space to work and relax. In addition to a separate bedroom with one king bed, separate bathroom, spacious closet and TV, we offer a living area with a sofa sleeper as well as a kitchen. All Hyatt House hotels are smoke-free. 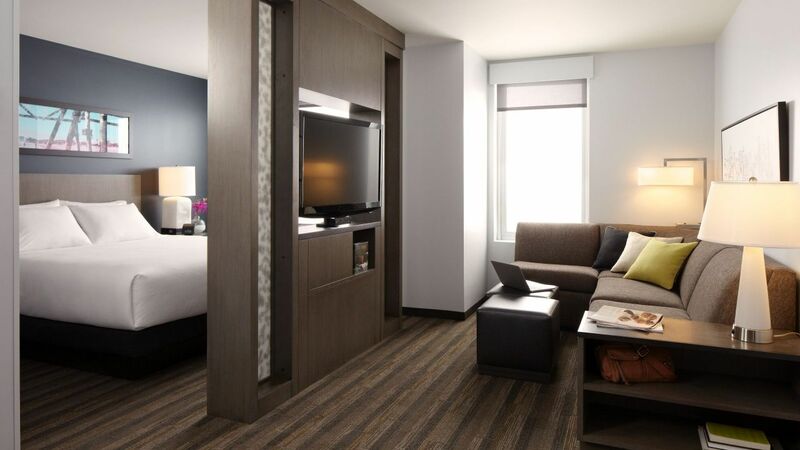 Our one-bedroom suite gives you plenty of privacy, plus ample space to work and relax. In addition to a separate bedroom with two queen beds, separate bathroom, spacious closet and TV, we offer a living area with a sofa sleeper as well as a fully-equipped kitchen. All Hyatt House hotels are smoke-free. Our one-bedroom suite gives you plenty of privacy, plus ample space to work and relax. In addition to a separate bedroom with two double beds, separate bathroom, spacious closet and TV, we offer a living area with a sofa sleeper as well as a fully-equipped kitchen. All Hyatt House hotels are smoke-free. Our accessible presidential suite gives you plenty of privacy, plus ample space to work and relax. In addition to a separate bedroom, accessible bathroom with roll-in shower, spacious closet and TV, we offer a living area with a sofa sleeper as well as a fully-equipped kitchen. All Hyatt House hotels are smoke-free. Our accessible one-bedroom suite gives you plenty of privacy, plus ample space to work and relax. In addition to a separate bedroom with one king bed, bathroom with accessible tub, spacious closet and TV, we offer a living area with a sofa sleeper as well as a kitchen. All Hyatt House hotels are smoke-free. Our accessible one-bedroom suite gives you plenty of privacy, plus ample space to work and relax. In addition to a separate bedroom with two double beds, accsesible bathroom with roll-in shower, spacious closet and TV, we offer a living area with a sofa sleeper as well as a fully-equipped kitchen. All Hyatt House hotels are smoke-free. 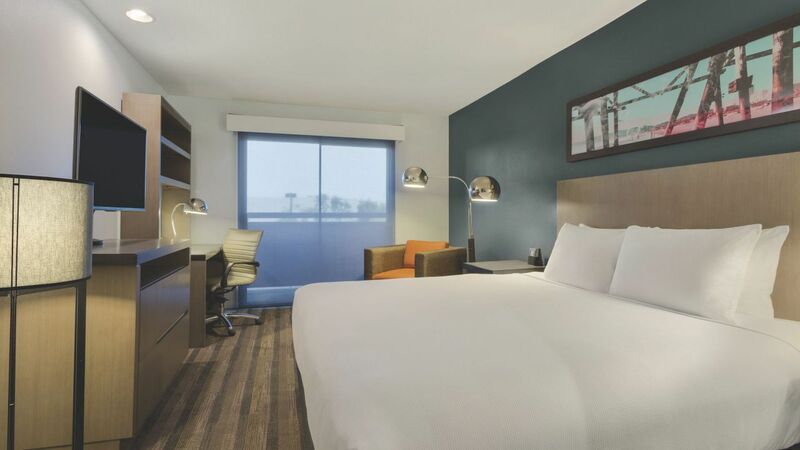 Our smartly designed, well-appointed guestroom room boasts a king sized Hyatt Grand Bed® and modern lifestyle amenities while adding unexpected touches of luxury at every turn. 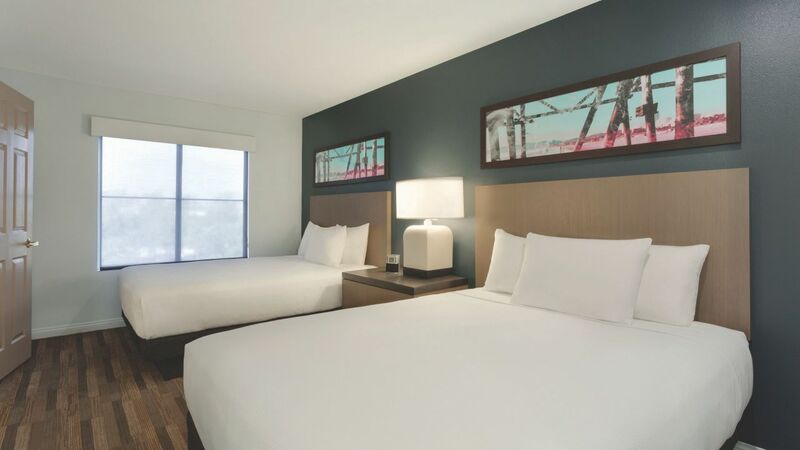 Guests will enjoy coffee maker and workstation with high-speed internet access, a large bathroom with plenty of counter space, laundry and same-day dry cleaning service in addition to room amenities. All Hyatt House® hotels are smoke-free. This room is NOT a suite. Our smartly designed, well-appointed accessible guestroom boasts a king sized Hyatt Grand Bed® and modern lifestyle amenities while adding unexpected touches of luxury at every turn. Guests will enjoy coffee maker and workstation with high-speed internet access, a large bathroom with accessible bathtub plus plenty of counter space, laundry and same-day dry cleaning service in addition to room amenities. All Hyatt House® hotels are smoke-free. This room is NOT a suite.